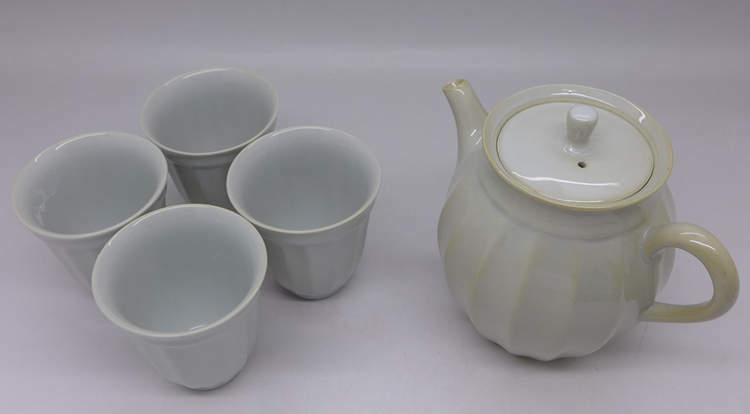 Dehua porcelain tea set, great for brewing tea in Gongfu tea way. 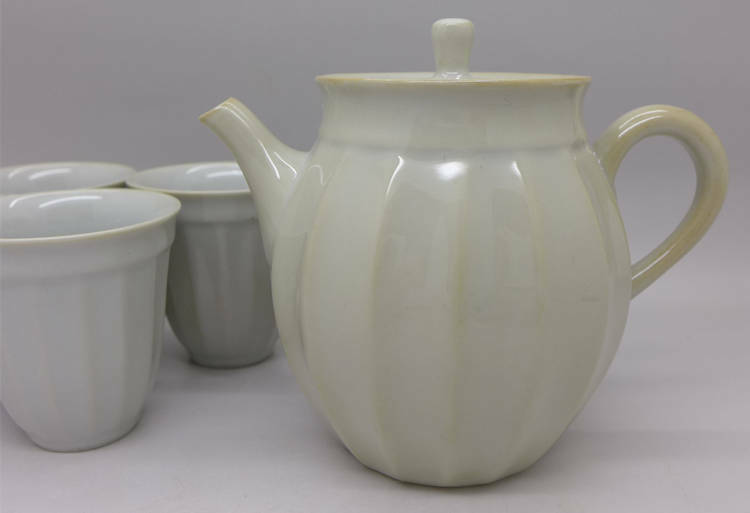 Half hand made processed, high grade material used. 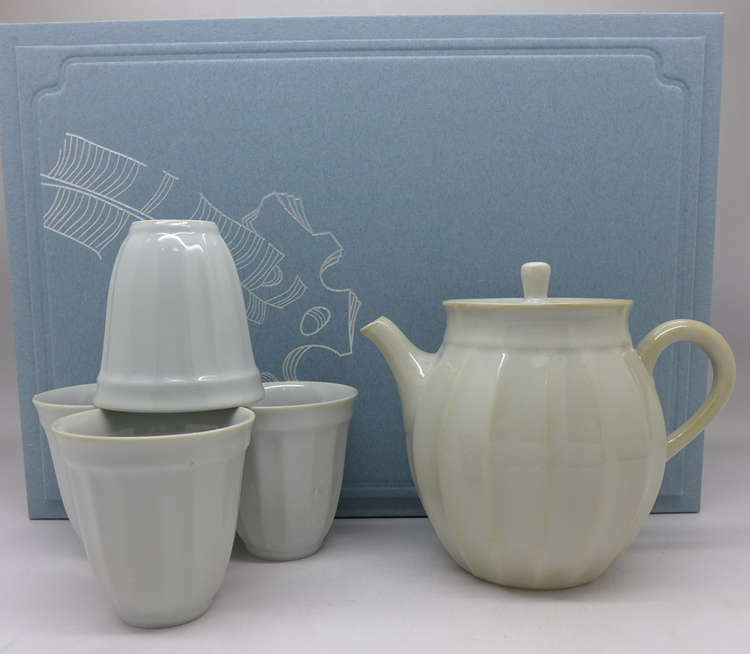 This set incluiding one teapot and four cups, in gifting hard box. 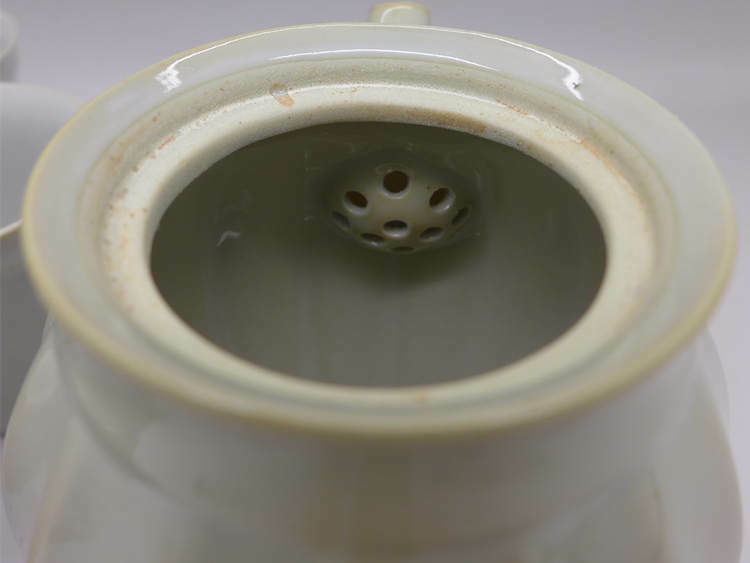 Teapot : 170ml full teapot , inside ball multiple hole ball filter, water pour smooth and fast.